As is tradition, April First is host to some of the best tricks of the whole year. 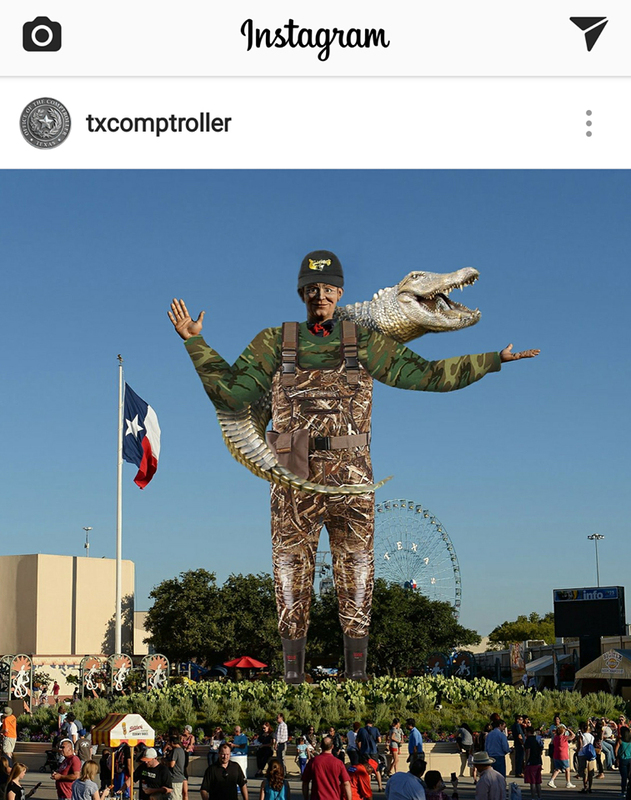 This time around, my favorite goes to Texas Comptroller of Public Accounts, Glenn Hegar. 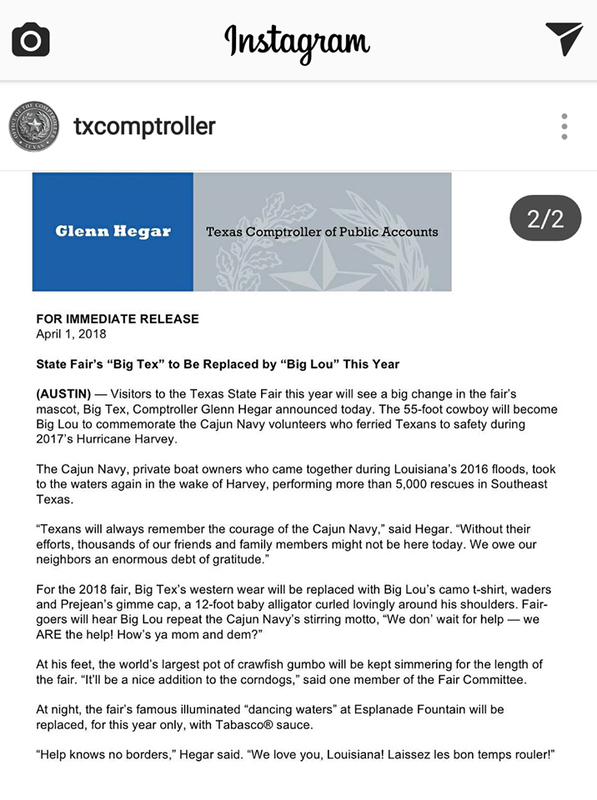 Mr. Hegar posted a press release that “Big Tex” would be replaced by “Big Lou” for the 2018 Texas State Fair in honor of the Cajun Navy who bravely and selflessly traveled to Houston to help save lives during the horrific and unprecedented flooding caused by Hurricane Harvey. 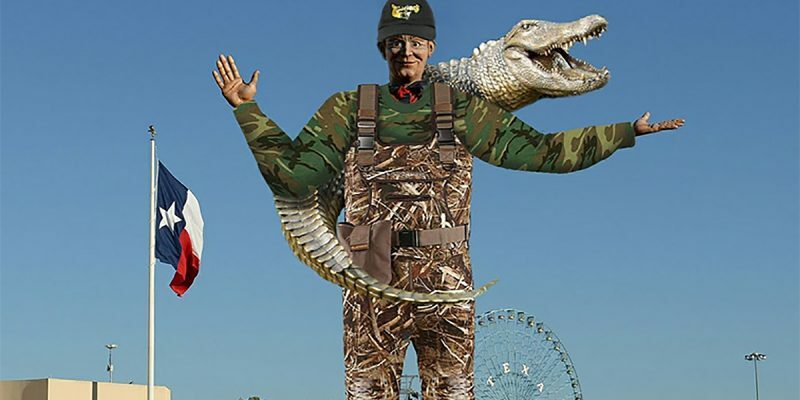 This light-hearted April fools joke captures the mutual appreciation and brotherhood that our two great states share, one that will survive as long or even beyond the union itself.